Have you been wanting to check out some Austin&apos;s great galleries and museums, but haven&apos;t been sure where to start? Each year, Austin Museum Day allows visitors to dive into the very core of it at many of Austin&apos;s world-class museums and galleries, all for free. This year, Austin&apos;s museums will be celebrating on September 21st. No matter what you&apos;re into, we&apos;ve rounded up a few highlights below depending on your interests. Be sure to check out Museum Day&apos;s calendar for participating locations, but remember these gems are available year-round for visitors and locals alike! The Contemporary Austin Jones Center. Photo courtesy of The Contemporary Austin. 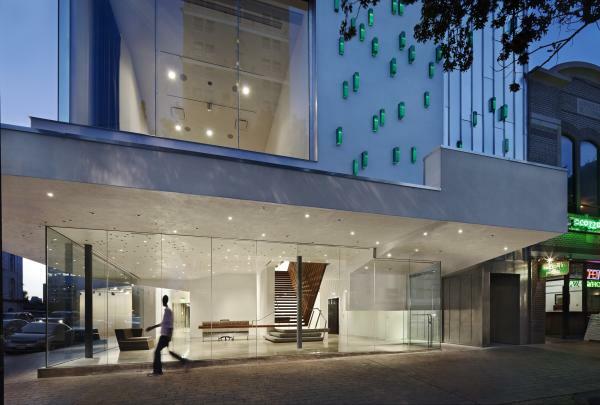 You have to check out The Contemporary Austin, a museum that brings multidisciplinary exhibitions, engaging programs and enticing special events to the city&apos;s art landscape. Also be sure to stop by the Mexic-Arte Museum, showcasing the art and culture of Mexico. You will find many exhibits featuring traditional and contemporary Mexican, Latino and Latin American works. The Blanton Museum of Art at The University of Texas at Austin is one of the foremost university art museums in the country, and is a must-see for any art enthusiast. The museum&apos;s collection is the largest and most comprehensive in Central Texas, and includes more than 18,000 works. It is known for its European paintings, and modern and contemporary American and Latin American art. View works from Texas artists at Big Medium, a non-profit that supports artists from across the state by showcasing innovative gallery programming at its locations at Canopy and Bolm. It is also known for hosting events like the East Austin Studio Tour, the Texas Biennial and the West Austin Studio Tour. Don&apos;t miss the incredible exhibits from local and national artists at Co-Lab Projects, an artist-run nonprofit dedicated to facilitating public projects and showcasing contemporary works of art, installation and performance. The exhibits at this space rotate regularly, so every visit is different. Another option is the Pump Project Complex. This nonprofit, located in East Austin, provides working studios and gallery facilities to emerging and established artists. The warehouse is home to a 1,000-square-foot gallery surrounded by 22 private and shared studios accommodating over 30 artists. For diverse pieces from Austin&apos;s emerging and established multicultural artists, head to New East Arts Gallery, a small gallery overflowing with wonderful art from a variety of talented artists. The Thinkery is the place to go. The sparkling new Austin Children&apos;s Museum lets families connect with ideas through "STEAM" learning - science, technology, engineering, art and math. The museum offers innovative exhibits, as well as new programs for children and the children at heart. The Harry Ransom Center, a free library and archive on the University of Texas campus, lets you view a rare Gutenberg Bible, the world&apos;s first photograph and The Making of Gone with the Wind exhibit. The newly renovated Lyndon Baines Johnson Library & Museum is another can&apos;t-miss, with interactive exhibits, three high-tech theaters and displays of rare documents that explore the legislative process and key moments in the life of the Central Texas native and 36th president. The George Washington Carver Museum is the first African American museum in Texas, and is dedicated to the collection, preservation, research and exhibition of African-American historical and cultural material. The Bullock Texas State History Museum features three floors of engaging exhibits that tell the story of Texas. You can watch an IMAX film and grab a Texas-themed souvenir at the gift shop. Head over to the French Legation Museum, the oldest frame structure in Austin built in 1841 to represent the French government in the new Republic of Texas. Here, you can explore collections of the French Legation, take a tour of the museum and take part in family programs, history lecture and concerts that celebrate the earliest history of Austin.